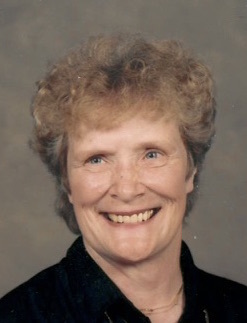 Carol K. LeRoy, 88, of Metamora, IL passed away at 9:00 am on Sunday, April 14, 2019 at her residence. She was born on March 2, 1931 in Chicago, IL to Carl and Esther (Haecker) Keys. She married Harold LeRoy on April 29, 1950 in Peoria, IL. Surviving are her husband Harold of Metamora; children Lori (Ray) Wyssmann of Oklahoma City, OK, Lisa (Gordon) Karmenzind of Peoria, and Curtis (Ninette) LeRoy of Morton; grandsons Jackson Wyssmann, Christian LeRoy, and Carter LeRoy; and great-grandson Leeland LeRoy. She was preceded in death by her parents and brother Gerald Keys. Carol was a medical claims adjuster for Caterpillar Tractor Company for 27 years, retiring in 1986. She was a member of St. Bernard’s Catholic Church in Peoria and the Caterpillar Retirees Club. Carol had a love for shopping and purses. She enjoyed the beach, especially Myrtle Beach, and dearly loved her family and friends. Cremation rites have been accorded. A Funeral Mass and Burial will be held at 10:00 am on Monday, April 22, 2019 in the chapel at Resurrection Cemetery and Mausoleum in Peoria with Monsignor Paul E. Showalter officiating. Burial of ashes will follow in Resurrection Cemetery. Following the funeral mass and burial, there will be a memorial service held at Snyder Village in Metamora. In lieu of flowers memorials may be given to Center for Prevention of Abuse, 720 West Joan Court, Peoria, IL 61614, Children’s Hospital of Illinois, 530 NE Glen Oak Avenue, Peoria, IL 61637, or OSF Hospice, 2265 West Altorfer Drive, Peoria, IL 61615. Online condolences at www.masonfuneralhomes.com.